The decision by the US government to allow the resumption of experiments on aerosol transmission of avian influenza viruses has once again raised the hackles of some individuals who feel that the work is too risky. I disagree with their view on this work. Science reports that ‘Controversial lab studies that modify bird flu viruses in ways that could make them more risky to humans will soon resume after being on hold for more than 4 years’. Denise Grady of the New York Times wrote that “Research that could make flu viruses more dangerous” are set to resume. 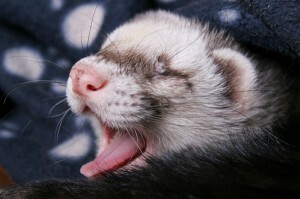 Note that the experiments done in the Kawaoka and Fouchier laboratories that allow aersol transmission of avian H5N1 viruses among ferrets discussed here previously actually made the viruses much less pathogenic. This fact is ignored in all the discourse about the work. Part of the outrage expressed by some is that they feel the approval for the experiments was done secretly. In a Washington Post opinion piece, Lipsitch and Inglesby write that ‘the US is funding dangerous experiments it doesn’t want you to know about’. As I discussed above, there is no evidence that the work will produce dangerous viruses. Yet these individuals, and others, use the scare tactic of describing theoretical dangers to mobilize opinion against the work. As I have written before, the work has clear benefits that the detractors fail to acknowledge. Over 4 years ago, when the Fouchier-Kawaoka experiments were revealed, the objections of a few lead to a moratorium on this work. A careful review of the experiments followed which included panel discussions and a risk-benefit analysis of the work. Procedures were put in place to ensure that such gain-of-function experiments would receive proper review and be done under safe containment. After a long review process, the work was allowed to resume. The process was not kept secret as suggested in the articles cited above. Because I object to the manner in which this work is portrayed, and because I believe that the review process has been transparent, I wrote a letter to the Editor of the New York Times. They did not publish the letter, so it is reproduced below. Your concern that the U.S. government has not been transparent about its decision to allow gain-of-function research on avian influenza virus seems unfounded. The current situation stems from research done in 2012 to enable avian influenza H5N1 viruses to transmit among ferrets by aerosol. Even though the viruses became less lethal after this procedure – a fact ignored by all of the detractors of the work – a moratorium on similar research was imposed. The U.S. convened two National Academy of Sciences workshops, formulated new policy and secured a report on benefits vs. risks of the work. The moratorium was lifted in December 2017 and guidelines on the conditions under which gain of function on certain pathogens could proceed were made. This information is public domain. As per NIH policy of grant review, information is made public only after grants are awarded, which is why the grant application reviews from two laboratories to conduct gain of function research were not yet public. In contrast to the article by Denise Grady, the process of assessing the risks and benefits of gain of function research has been completely transparent. As a scientist who has carried out research on dangerous viruses for over 35 years, I am completely satisfied that the correct steps have been taken to ensure that the work will proceed safely.